Craglorn zone map. Elder Scrolls Online: Tamriel Unlimited. Locales, Wayshrines, Skyshards, Solo, Public and Group Dungeons, Cities, World Bosses, Taverns, Dark Anchors, Quest Hubs, Lore Books, Merchants, Crafters. The Elder Scrolls Online - ESO Maps, Guides & Walkthroughs. 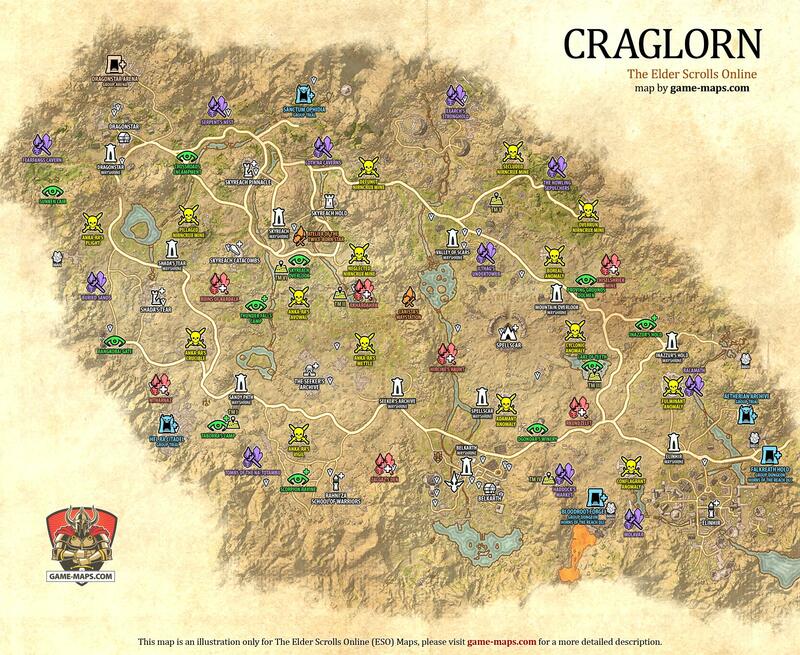 Craglorn Map - The Elder Scrolls Online.